BetVictor Sports Review - A Reputation to Match the Name? BetVictor is the Gibraltar-based business of the man often described as the most famous bookmaker in the world. Victor Chandler, who in 1975 took over running the family business that his father of the same name created just after World War Two, is a giant of the bookmaking industry and one of the pioneers who saw the potential of online gambling. Chandler was the first major player in the British betting scene to move his business offshore, opening an office in Antigua so that his high-rolling Asian clients could bet without having to pay the United Kingdom’s tax rates. In 1996, Chandler obtained a licence in Gibraltar and, three years later, he moved his entire business to the British Overseas Territory, becoming Gibraltar’s largest employer and enabling United Kingdom-based punters to bet on sport free of tax. It was because of Chandler and other early adopters of the Gibraltar model that the British Government scrapped gambling tax in 2001 in what was a landmark win for everyday punters. For more than 60 years, gambling with Chandler senior first, and now his better known son has been viewed as a high class way in which to punt. The family may have moved away from its racecourse and licensed office origins but its online presence conveys the same professional feel. The BetVictor website is slick, right down its choice of typography and black, blue and grey colour scheme. BetVictor is one of the market leaders in special offers and it promotes its current offerings prominently yet stylishly on the front page of its website. There is an app for Android, iPad and iPhone users and, once again, its presentation is that of a premium product. In the rest of this review we will look at betting options, bonuses, security and licensing, how it treats professional and recreational punters and banking practices, before providing an executive summary. BetVictor knows its market inside out so it focuses on its core sports, particularly football and horse racing, while still offering a decent spread on everything else that one would expect to find on an online bookmaker’s service menu. In football, few online bookmakers do Asian handicaps better, probably because Chandler was one of the first European entrepreneurs to tap into the Asian market. The Asian handicap is a niche offering but BetVictor’s years of experience make it an expert. Chandler is synonymous with horse racing so it follows that BetVictor treats the Sport of Kings with due reverence. Not even a diehard horse racing is going to find too much wrong with the horse racing service, which includes live commentaries and an archive of British and Irish contests. The live betting engine blends in with the rest of its website and the speed with which it reacts makes it a pleasure to use. One cannot underplay the important of a live in-play service being responsive and straightforward. It may not be everyone’s cup of tea but financial fixed odds is something of which BetVictor clients can avail themselves thanks to the support of Cantor Gaming. Again, offering this type of product reinforces the impression that this is a Chandler business playing on its high-roller positioning. The offer has terms and conditions attached to it, including that it expires after 7 after accreditation if not used. It can be used as one whole bet or as a number of smaller bets, will only return profit exceeding your total stake and must be placed separately from real cash bets. There are no playthrough requirements for sports betting. But the £10 casino bonus is subject to a 40x wagering requirement before withdrawals can be made. Unfortunately, BetVictor does not accept clients from Armenia, Antigua, Cuba, France, Hong Kong, Iran, Malaysia, Moldova, Myanmar, North Korea, Philippines, Spain, Sudan, Syria, Turkey and the United States of America, while its offer is not available to residents of Australia, Austria, Azerbaijan, Belarus, Bulgaria, Burkina Faso, Bosnia & Herzegovina, China, Croatia, Cyprus, Denmark, Estonia, Finland, Georgia, Germany, Greece, Hungary, Israel, Ivory Coast, Japan, Kazakhstan, Kyrgyzstan, Latvia, Lichtenstein, Lithuania, Luxembourg, Macau, Macedonia, Montenegro, Norway, Poland, Portugal, Russia, Serbia, Slovakia, Slovenia, South Africa, Switzerland, Taiwan, Thailand, Ukraine and Vietnam. BetVictor is licensed in Gibraltar and regulated by the Gibraltar Gambling Commissioner. Synonymous with offshore finance and gambling for many, many years, one is safe to conduct business with Gibraltar-based online gambling operators, particularly one with the reputation of a highstreet UK bookmaker. There is little doubt that BetVictor is marketed towards a specific type of punter, one who believes that there is a level of cache in betting with the man who is known as the ‘Gentleman Bookmaker’ and does not mind having a red-hot go when an opportunity presents itself. For example, there are relatively high limits on sports such as football. It is not so much about professional versus recreational punters; it is more about it being an aspirational brand. Depositing money is a quick and simple process for BetVictor clients (click image for larger version). 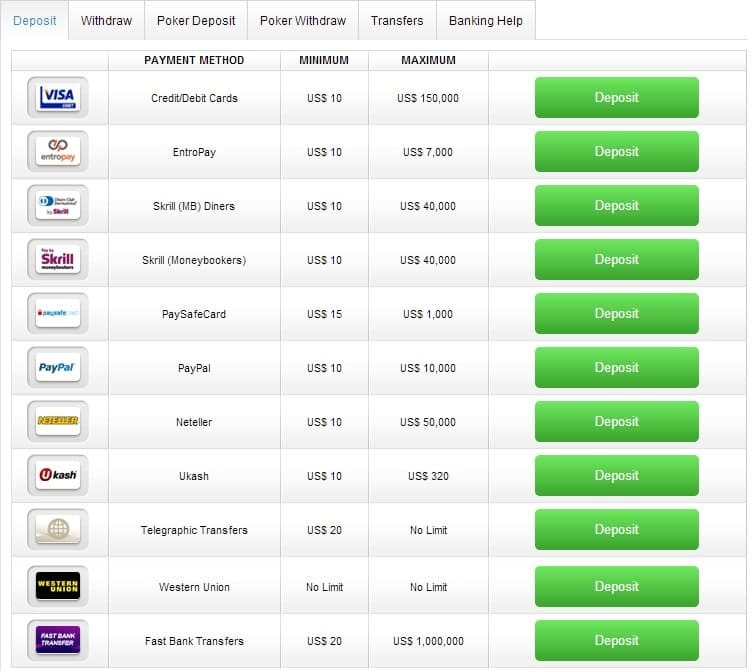 They accept deposits via credit/debit cards, Neteller, Skrill, Ukash, telegraphic transfers and fast bank transfers and accepts bets in 13 currencies – American dollars, Australian dollars, British pounds, Canadian dollars, Danish kroner, euros, New Zealand dollars, Norwegian krone, Romanian new leu, Singapore dollars, South African rand, Swedish kronor and Swiss francs. There is a select range of withdrawal options, with credit/debit cards, Neteller, Skrill and telegraphic transfers being the ones that its promotes heaviest. BetVictor is built in the image of its classy owner and, if one is serious about wagering on football or horse racing in particular, it is definitely worth opening an account. And one would have to go a long way to beat its live betting service, which is right up there with the very best. Joined the poker club and got the £175 welcome bonus. Download the app and close any other accounts, betvictor is king. Straight forward £25 sign up bonus. Good that they dont have ridiculous rollover clauses too. Strongly recommend it over ladbrokes,willy hill, coral etc. Prefer Betvictor to the other sites because the player specials they offer. Bet on things other bookies dont offer. Find the site hard to use. Customer service woman helped me a fair bit but in the end I had to use bet365 instead. For football betting, especially the premier league, betvictor has to be the best bookie. They have the best odds in football according to oddschecker but I think they could maybe focus more on lower league games. Also as a professional cricket player it would be nice to see them put a bit more info up about the cricket once in while. But It is the only site I would use and recommend to my friends. Site is easy to use and the offers are normally decent. Best bet bundles are good value. Get them on the left hand side of the homepage. 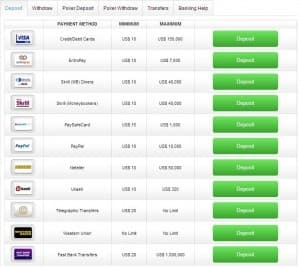 Accept neteller which is a big bonus as a lot sites dont. I signed up and depositted using skrill for ease. However I was then told I did not qualify for the free £25 bet. Obviously I was gutted cause this played a big part in me signing up. Didn’t mind cause the site was good anyway. Ten days later to my surprise I got an email from the customer service team saying they had creditted my account with the free bet and were sorry for the inconvenience! Was over the moon and will be using this as my main betting website from now on. 3 stars. Good but seen better bookmakers online. Live streaming is good enough. doesn’t support US play however. In-play market is rubbish. Takes forever to loads the odds on my PC. My pc is a bit slow but other sites were fine. Dont use them if you bet live like I do. Bet365 the best free odds around. There are better odds than Betvictor. Mobile site can be a tad buggy but the app is great. Even using mobile data the app is quick and makes it easy to chuck a quick acca on if you are on the go.